Our youth are an important part of our Music Ministry at All Saints. Children as young as 5 and as old as college-aged are encouraged to participate in our youth music offerings. The youth schedules are flexible and adaptable to each child's busy schedule! High School and Middle School Youth are encouraged to participate in the worship services in a variety of ways. There are no set schedules for youth choirs or ensembles but rather parents and youth coordinate with the Director of Music Ministry to develop a schedule that works for them. Youth are free to sing and play instruments in any of our existing music ensembles or to create one of their own. Lauren Grangaard facilitates the development of all new ensembles or solo offerings from our youth. NEW to All Saints this year! 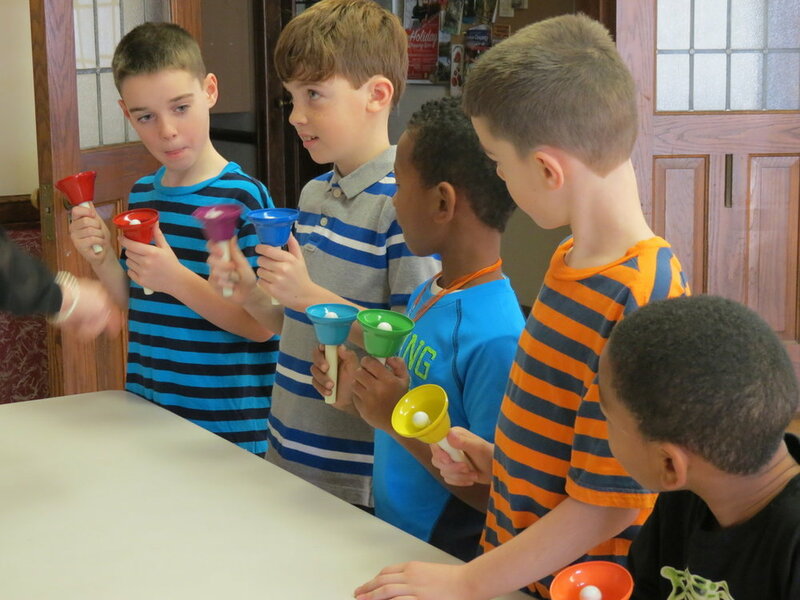 This bell choir is specially designed to help young children learn to read music and play an instrument in a relaxed setting. Children learn to play the bells using color-coded flashcards and later translate that skill to the page with color-coded music as well! Rehearsals are from 12:15 - 1 p.m. on Sunday afternoons following 11 a.m. worship. A light lunch is provided at noon with rehearsals immediately following. The Cherub Bell Choir plays once a month at the 9:30 a.m. traditional service. Worship schedule coming soon! Kindergarten through Middle School aged youth are invited to participate in the Christmas Program each year. Middle School youth audition in October and all Sunday School youth are able to participate in the choir.